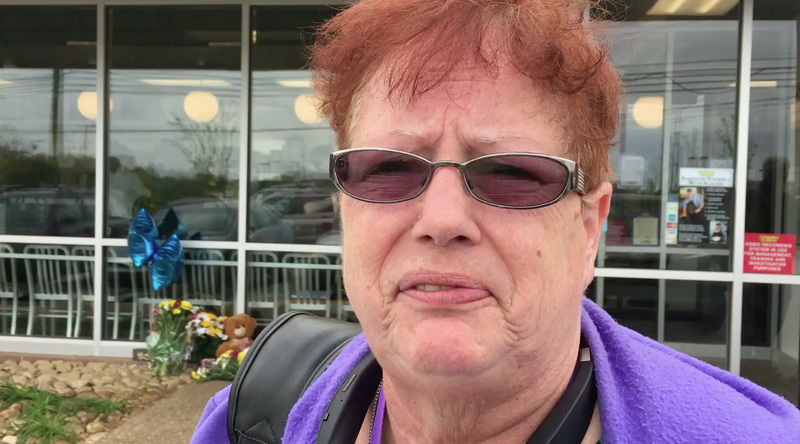 NASHVILLE, Tenn. (AP) — The Tennessee Waffle House where four people were fatally shot reopened Wednesday amid tears and solemn remembrance of the dead, as the company said it will donate a month of the restaurant’s sales to help the wounded survivors and the families of the slain. Among those killed when a man opened fire in the parking lot with an AR-15 rifle and stormed the restaurant early Sunday morning was an employee, Taurean Sanderlin, 29, and three customers. Four people were wounded. One of those who died in the carnage was Joe Perez, a 20-year-old customer from Nashville. His parents, who traveled to Nashville from Texas, signed the cross bearing their son’s name and the three others. They also did not want to speak. 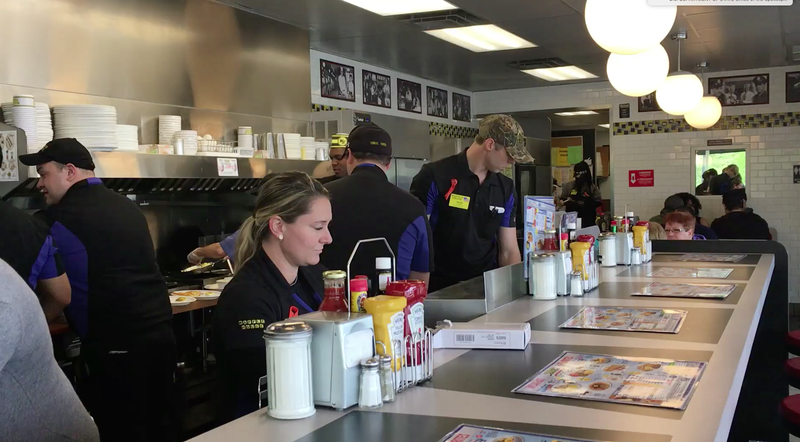 Waffle House employees work at the re-opening. “I think it’s part of the healing process for them,” Warner said. “I saw that they were reopening and that all incoming funds were going to the victims’ families, and I was going like, ‘OK. I should drop in and have something, and in some small way contribute,’” Michael Harrison said as he entered the restaurant. Police have identified the shooting suspect as Travis Reinking, 29. He faces multiple criminal charges, including four counts of criminal homicide. A public defender listed as his attorney has not responded to an email seeking comment. Meanwhile, an audio recording released from a computer repair shop shows that Reinking was fearful that someone had hacked his laptop. The owner of Dang It Repair said Reinking initially took his computer to the shop because he thought someone had hacked into it. But a recorded telephone conversation between Reinking and one of the shop’s employees shows he was also fearful that the company had tampered with his computer. A man wearing nothing but a green jacket and brandishing an assault-style rifle attacked the restaurant early Sunday. Police credit restaurant patron James Shaw Jr. with disarming the gunman and averting more bloodshed. Waffle House customer speaks at the re-opening. The gunman fled and led police on a massive manhunt that lasted more than 24 hours before Reinking was captured. Police say they still do not know of a motive for the crime. A friend and former co-worker in Colorado, John Turley, told The Associated Press that he never saw any hints of violence or aggression from Reinking during the months they knew each other. A Salida, Colorado, police report quotes Turley as saying Reinking believed he was a “sovereign citizen” — defined by the FBI as an anti-government extremist who believes he’s not subject to federal law even though he lives in the U.S. But Turley told The Associated Press that Reinking never expressed those beliefs to him. Turley said he was only telling Salida police something he had heard about Reinking in news reports after the White House incident.